The structured cut of this slim-fit shirt makes it the perfect accompaniment to smart tailored trousers. What's more, the tightly-woven cotton will hold its shape, no matter how manic your day gets. 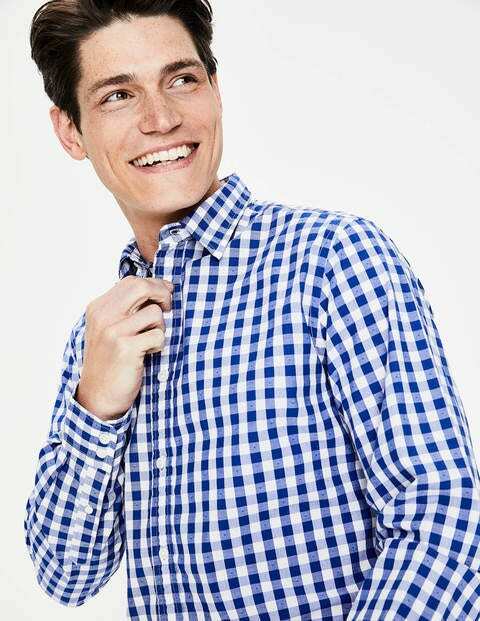 Based on our bestselling Architect Shirt we've given this classic style a choice of discreet designs or a clip-dot weave – because even your weekday shirts should have something special about them.